Floods are one of the most common hazards in the United States, however not all floods are alike. Some floods develop slowly, while others such as flash floods, can develop in just a few minutes and without visible signs of rain. Additionally, floods can be local, impacting a neighborhood or community, or very large, affecting entire river basins and multiple states. Regardless of the type of flooding, the impact can be very severe. Flash floods can occur within a few minutes or hours of excessive rainfall, a dam or levee failure, or a sudden release of water held by an ice jam. Flash floods often have a dangerous wall of roaring water carrying rocks, mud, and other debris. Overland flooding, the most common type of flooding event, typically occurs when waterways such as rivers or streams overflow their banks as a result of rainwater, or a possible levee breach and cause flooding in surrounding areas. It can also occur when rainfall or snow melt exceeds the capacity of underground pipes or the capacity of streets and drains designed to carry flood water away from urban areas. Be aware of flood hazards no matter where you live or work, but especially if you are in low-lying areas, near water, behind a levee or downstream from a dam. Even very small streams, gullies, creeks, culverts, dry stream beds or low-lying ground that appear harmless in dry weather can flood. If a flood is likely in your area, you should: Listen to the radio or television for information. Be aware that flash flooding can occur. If there is any possibility of a flash flood, move immediately to higher ground. Do not wait for instructions to move.Be aware of stream, drainage channels, canyons and other areas known to flood suddenly. Flash floods can occur in these areas with or without typical warnings such as rain clouds or heavy rain. If you must prepare to evacuate, you should do the following: Secure your home. If you have time, bring in outdoor furniture. Move essential items to an upper floor. Turn off utilities at the main switches or valves if instructed to do so. 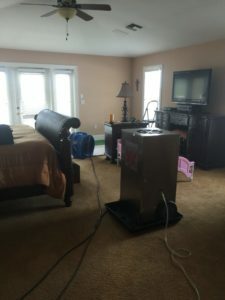 Disconnect electrical appliances. Do not touch electrical equipment if you are wet or standing in water. If you have to leave your home, remember these evacuation tips: Do not walk through moving water. Six inches of moving water can make you fall. If you have to walk in water, walk where the water is not moving. Use a stick to check the firmness of the ground in front of you. Do not drive into flooded areas. If flood waters rise around your car, abandon the car and move to higher ground, when water is not moving or not more than a few inches deep. You and the vehicle can be swept away quickly. If your vehicle is trapped in rapidly moving water, stay in the vehicle. If the water is rising inside the vehicle, seek refuge on the roof. Do not camp or park your vehicle along streams, rivers or creeks, particularly during threatening conditions. If your home has been flooded, although flood waters may be down in some areas, many dangers still exist. Here are some things to remember in the days ahead: Use local alerts and warning systems to get information and expert informed advice as soon as available. Avoid moving water. Stay away from damaged areas unless your assistance has been specifically requested by police, fire, or relief organization.Emergency workers will be assisting people in flooded areas. You can help them by staying off the roads and out of the way.Play it safe. Additional flooding or flash floods can occur. Listen for local warnings and information. If your car stalls in rapidly rising waters, get out immediately and climb to higher ground.Return home only when authorities indicate it is safe. Roads may still be closed because they have been damaged or are covered by water. Barricades have been placed for your protection. If you come upon a barricade or a flooded road, go another way. If you must walk or drive in areas that have been flooded. Stay on firm ground. Moving water only 6 inches deep can sweep you off your feet. Standing water may be electrically charged from underground or downed power lines.Flooding may have caused familiar places to change. Flood waters often erode roads and walkways. Flood debris may hide animals and broken bottles, and it’s also slippery. Avoid walking or driving through it.Be aware of areas where flood waters have receded. Roads may have weakened and could collapse under the weight of a car.Stay out of any building if it is surrounded by flood waters.Use extreme caution when entering buildings; there may be hidden damage, particularly in foundations. 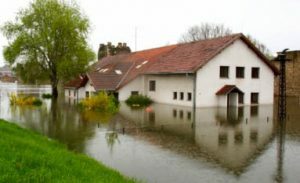 A flood can cause physical hazards and emotional stress. You need to look after yourself and your family as you focus on cleanup and repair. Avoid flood waters; water may be contaminated by oil, gasoline or raw sewage. Service damaged septic tanks, cesspools, pits and leaching systems as soon as possible. Damaged sewer systems are serious health hazards. Listen for news reports to learn whether the community’s water supply is safe to drink. Clean and disinfect everything that got wet. Mud left from flood waters can contain sewage and chemicals. Rest often and eat well. Keep a manageable schedule. Make a list and do jobs one at a time. Discuss your concerns with others and seek help. Contact Red Cross for information on emotional support available in your area. Here is some literature from the Red Cross concerning repairing your home after a flood. 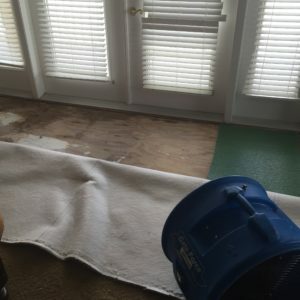 If your home or business has been damaged due to flooding, the best resource you have for obtaining the compensation that you deserve from your insurance company is by using a certified Public Claims Adjuster. They can provide you with an unbaised evaluation of the damage, which can result in up to 547% greater insurance payouts! Contact Reliable Claims Adjusting at (800) 580-5650 or complete the form below for a Free Consultation with one of our Certified and Experienced Public Claims Adjusters! I will be pleased to refer more customers to your company. He negotiated with my insurance for a total of $16k!